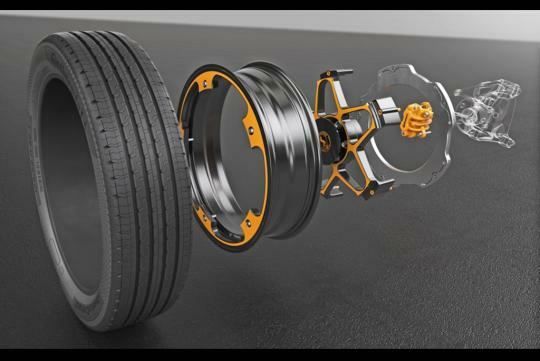 Continental has released details about its latest brake and wheel combination concept for EVs (Electric Vehicle). It is said to reduce weight and improve braking performance. The parts manufacturer came up with the idea as more and more EVs are hitting the market. And because these vehicles tend to make use of regenerative braking as much as they can via mechanical braking, the physical disc brake system will be used less frequently, increasing the chances of the the standard cast iron brake disc to rust. Needless to say, a rusty brake disc will definitely affect braking performance when some real braking power is needed in an emergency situation. To prevent this, Continental has invented an aluminium brake disc that resists corrosion while improving braking performance. Much larger than the normal discs seen on EVs today, the star-shaped disc is mounted to the wheels while the calipers are upside down and clamps onto the inner edge of the disc. Not only does the larger disc diameter allows for better braking results, it is also said to make the changing of brake pads easier. Meanwhile being aluminium allows heat generated under braking to quickly dissipate while keeping the overall mass in check. 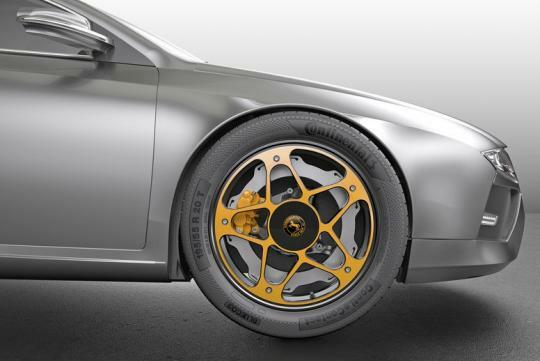 Continental also claims that the discs do not wear out, with abrasion only happening on the pads. “Because the brake disk is fixed on the outside and the brake engages from the inside, the brake caliper can be designed particularly light and stiff. The force is transmitted largely symmetrically into the center of the axle, and this has a favorable effect on the noise behavior of the brake,” said Continental brake pre-development boss Paul Linhoff.